Amazon is continuing its streaming-TV push, partnering with HBO on a multi-year deal to exclusively bring classic HBO shows to Amazon Prime subscribers, the two companies announced Wednesday. Variety Terms of the deal were not disclosed; it covers only the U.S. 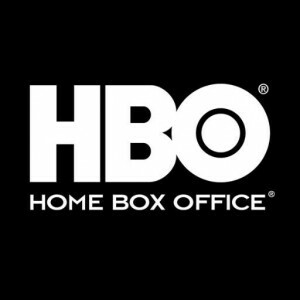 Under the agreement, Amazon has exclusive SVOD rights for select HBO programming and will make the first wave of it available to Prime subscribers beginning May 21. That includes full seasons of The Sopranos, Six Feet Under, The Wire, Big Love, Deadwood, Eastbound & Down, Family Tree, Enlightened, Treme, early seasons of Boardwalk Empire and True Blood, as well as miniseries like Band of Brothers and John Adams. GigaOM Some of HBO’s newer shows will also be available, with a substantial delay: “Previous seasons of other HBO shows, such as Girls, The Newsroom and Veep will become available over the course of the multi-year agreement, approximately three years after airing on HBO.” In addition, Amazon said that it will add HBO Go to its recently launched streaming video box, Fire TV — “targeting a launch by year-end.” New York Post HBO’s coveted content has long been kept beyond reach of outside content bundles like Amazon and Netflix, and only available to subscribers. Amazon’s win will surely be viewed as a loss for Netflix CEO Reed Hastings, who still dominates the bundled streaming space, but who also recently announced a price increase for new subscribers. Amazon also increased its prices, but is also seeking to expand its customer base with Fire TV. THR Amazon Prime also has exclusive online-only subscription deals for PBS’Downton Abbey and Mr. Selfridge, CBS’ Under The Dome and upcoming Halle Berry-headlined miniseries Extant as well as 24, Veronica Mars, Orphan Black, The Americans and Justified. But it has had less success with its own original series; neither Alpha House nor Betas has achieved the pop culture significance of Netflix’s Kevin Spacey drama House of Cards. The principle that all Internet content should be treated equally as it flows through cables and pipes to consumers looks all but dead. Companies like Disney, Google or Netflix will be allowed to pay Internet Service Providers (ISPs) like Comcast and Verizon for special, faster lanes to send video and other content to their customers under new rules to be proposed by the Federal Communications Commission, the agency said on Wednesday. The proposed rules are a change for the agency on what is known as net neutrality — the idea that no providers of legal Internet content should be discriminated against in providing their offerings to consumers and that users should have equal access to see any legal content they choose. Mother Jones ISPs won’t be allowed to deliberately slow down traffic from specific sites, but that’s about all that’s left of net neutrality. Once you’ve approved the notion of two-tier service, it hardly matters whether you’re speeding up some of the sites or slowing down others. NPR / The Two-Way Free Press, which advocates for an Internet in which all traffic is treated equally, said in a statement that the FCC proposal would break the Internet. “With this proposal, the FCC is aiding and abetting the largest ISPs in their efforts to destroy the open Internet,” Free Press president and CEO Craig Aaron said. “Giving ISPs the green light to implement pay-for-priority schemes will be a disaster for startups, nonprofits and everyday Internet users who cannot afford these unnecessary tolls.” The Verge The government is too afraid to say it, but the Internet is a utility. The data that flows to your home is just like water and electricity: it’s not a luxury or an option in 2014. The FCC’s original Open Internet rules failed precisely because it was too timid to say that out loud and instead erected rules on a sketchy legal sinkhole that was destined to fail.